Your offer has been accepted and you’re on your way to becoming the proud owner of a home — congratulations! After you’ve done a happy dance or two, it’s time for the next step in the process: the home inspection. 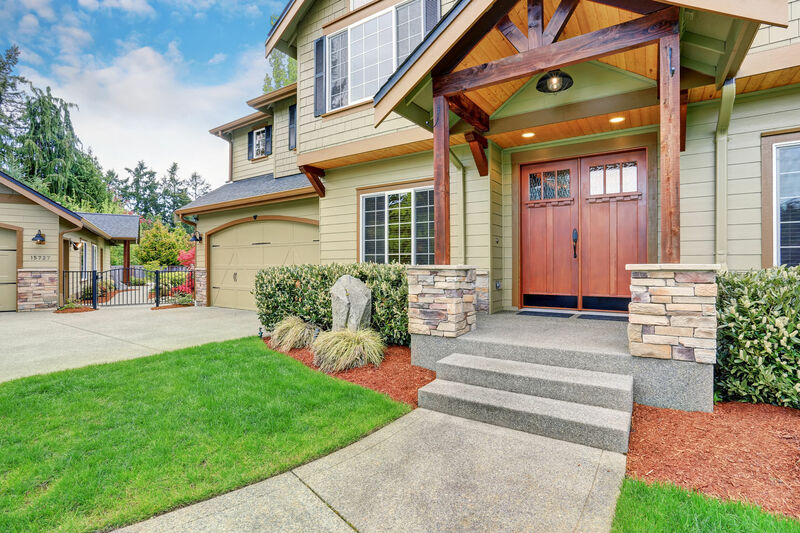 The home inspection takes place when one or more professionals conduct a mostly visual inventory of a property, evaluating its overall performance. This is a great way to learn all about your future home, from foundation to plumbing flow. You should definitely be there during the walk-through. A top-notch home inspector will educate you on how your home works just by explaining what he or she is doing. Keep in mind, all inspections are optional and up to you, the buyer — you arrange them, you schedule them and, most likely, you pay for them. Before paying for the professionals to come out, you can do your own mini inspection, looking for any obvious issues you want to note. This could include cracks in the walls, water puddles where there shouldn’t be any or large trees right up against the foundation, for instance. But it’s risky not to involve a professional home inspector on what will probably be the biggest investment of your lifetime. Buyers usually get professional inspections after they’re under contract to buy a property. More than likely you’ve set up your contract so it’s contingent on your approval after seeing the results of all inspections. This means if they find something majorly wrong, you have the option to go back to the negotiating table and ask for compensation or even back out altogether without losing earnest money. Often, buyers will accept whatever recommendation they get for a home inspection. This can be a big mistake. Not all home inspectors are created equal — a contractor is not the same as a certified professional. A good place to start is the American Society of Home Inspectors or the National Society of Home Inspectors (NSHI), where you can search for individuals. Your local Better Business Bureau is also a resource. An independent examiner will have allegiance only to you, the buyer, and should not pay fees to Realtors or hide conflicts of interest that could affect their clients in any way. In short, they examine everything. According to the NSHI, inspectors have a checklist of 1,600 items. That means they will look at the property top to bottom, creating a report about which systems work and which don’t. You’ll buy your home knowing exactly what repairs, if any, need to be made in the future and where problems might arise. With 1,600 items on the list, you may not get the full picture or understand the severity of certain problems if you’re not in attendance during the actual home inspection. It’s not required, but it’s a smart idea to take the time to do so. And if a home inspector doesn’t want you to do the walk-through? Red flag. Independent inspectors have nothing to hide and should be your advocate. If your inspector finds a problem area, like faulty foundation, you might want to hire a structural engineer or foundation specialist, for example, to further assess the situation. Remember, this is a huge investment and you want to know what you’re getting into. What’s the Time and Cost? Home inspections can take from two to three hours. The individual market heavily influences the cost, but nationwide, the home inspection cost for an average home should be between $350 and $600. Once your inspection is complete, you can truly celebrate this big milestone: your new home!